KINETIC CARNIVAL: The Fight To Keep Ruby's Alive Begins! The Fight To Keep Ruby's Alive Begins! With all the opposition against Zamperla's decision to axe Ruby, the people are gathering to protest. They will not let it go down without a fight. 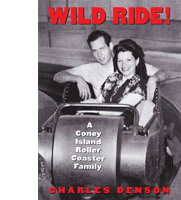 This Saturday, November 6th at 1pm, there will be a big rally to make noise towards Zamperla, Borough Prez. Marty Markowitz, Domenic Recchia, Mayor Micheal Bloomberg, and the Coney Island Development Corporation. You can sign the petition here and then email, call, and fax these city officials with your pleads. Help save Ruby's Bar and Grill! 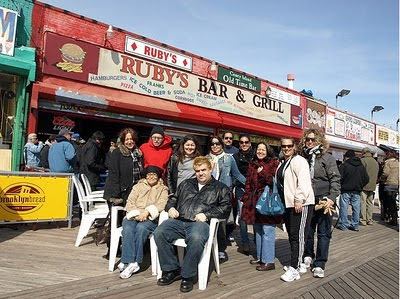 In business since 1934, we are the Oldest Bar and Grill on the Coney Island and is famously located directly on the boardwalk with the Atlantic Ocean as our front yard. RUBY'S is family owned and operated. We are the only full service bar & grill on the boardwalk with indoor seating. RUBY'S was Voted the 14th sexiest beach bar in the world by the TRAVEL CHANNEL. Other awards include best Dive bar in Brooklyn 1999, 2002, 2005, and. best jukebox on the boardwalk 40 years running. Our season is from (April) Palm Sunday thru Halloween Oct 31st. It just doesn't seem right to kick all these places out after they've helped bring business to the area. 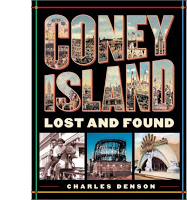 It just seems like they're trying to get rid of all Coney Island's personality. And feel free to sound off! 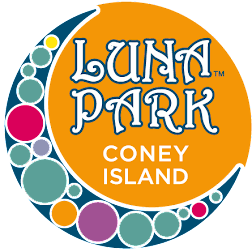 Coney Events: Stuff Yourself Silly!